It’s just a few hours before show time for a Michael Franti concert at the Sonoma Mountain Village Event Center in Rohnert Park. 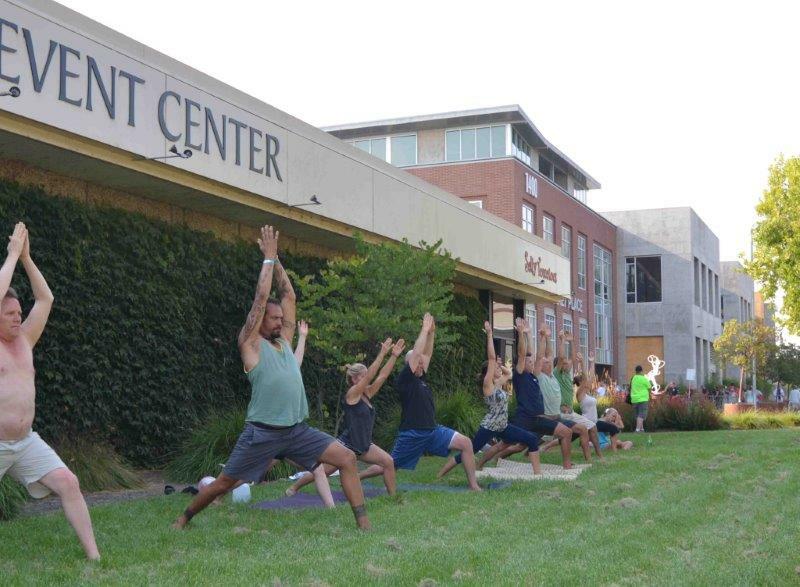 An impromptu yoga class has assembled just outside the gate when a tall, African-American man joins the group in the plaza in front of the venue. It’s the headliner, Franti himself, rolling out a mat with concert-goers for a little pre-show stretching.